Be it a dog or a cat, it is undeniable that pets truly do become a part of the family. Not a day goes by when our furry friends don’t manage to put a smile on our faces but yet, life gets in the way. We have to go to work, travel or do other things and that leaves our pets alone and disheartened. Luckily for us, PlayDate utilizes technology to change the way that we interact with our pets, even when we aren’t at home. 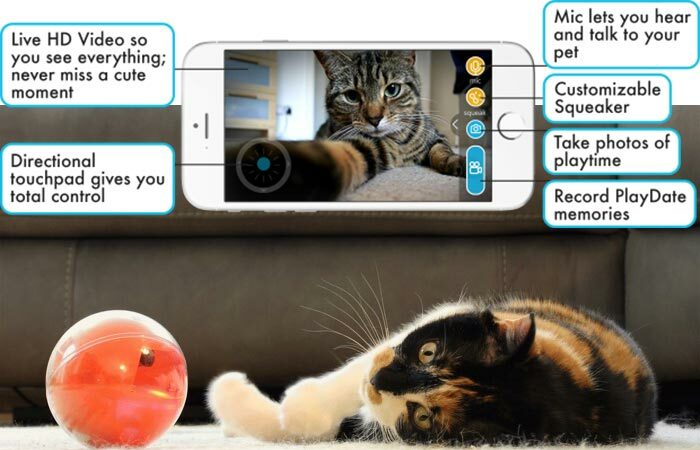 The PlayDate features a super tough and replaceable polycarbonate shell and has a stabilized internal wide-angle HD video camera so that you can see your pet and even record videos as well as take photos simply by using your smartphone or computer. Packed full of features, the PlayDate delivers hours of fun for both you and your pet while capturing every moment. 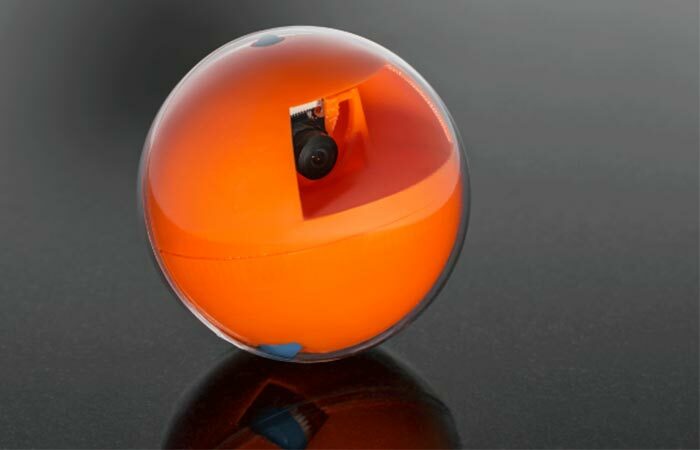 Much like a hamster ball, you can roll the ball around in any direction by using the navigation controller on your smartphone and the PlayDate even features a variety of different actions such as squeaking to get your pet’s attention, a customizable speaker so that your pet can hear you and a microphone so that you can hear your pet. You can literally use the PlayDate any time, be it while commuting, traveling, at work or whenever you simply feel like making your pet’s day. The PlayDate comes in two different versions; one is simply a ball for a dog while the cat version has slits in the shell so that you can insert ribbons and we all know how much cats like ribbons. The PlayDate is constructed out of a tough polycarbonate shell that is replaceable over time and a wide-angle HD camera that is stabilized inside the ball. At the moment, the PlayDate is busy with an Indiegogo campaign and they are so popular that they already smashed their original goal by 541%. Even though the early bird specials are out, you can still get the Indiegogo special at a discount of $100 but you need to hurry since there’s only two days left. If you don’t want a PlayDate but like the idea and want to help animals, the guys at PlayDate offer a $5 pledge where they donate all the proceeds to a no-kill shelter. Check out the video below.